Would you like to grow your business massively? Would you like to drive your business success to success? 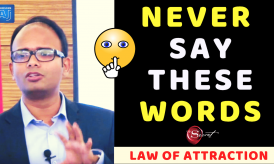 And would you be using the law of attraction for your business success? If you are a business person or aspiring to start a business, then your answer to all the above questions should be YES. Am I right? You deserve to create all the success and abundance in your business. And you can create your success, if you understand how the law of attraction works. It’s not at all difficult. It’s quite easy. But the journey to success has to be in the right direction and with proper alignment. 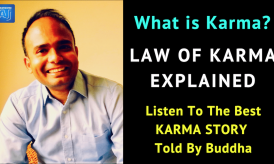 Today, I am going to share a success story on how a person can create tremendous success in business by using the law of attraction. Shikha started her career as a Nutritionist a few years back. From the beginning, she wasn’t like other nutritionists to be in a 9 to 5 job and just counsel people. She had an aspiration to establish her business in fitness and nutrition. But every aspiration has its own share of challenges. Shikha was an avid reader and knew almost everything about the law of attraction. However, she wasn’t seeing any great result with it. But just knowing was never enough. 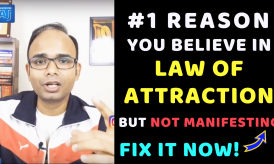 You need to understand how to apply the law of attraction in the right way. Shikha knew it well that every business success starts with self-transformation. Therefore, she joined my Mentoring Program, almost a year back. From there, her journey started in a new way. I mentored her for personal and business transformation. She started following the law of attraction in a structured manner. She practiced tools like Gratitude, Affirmation, and Visualization in the correct way. 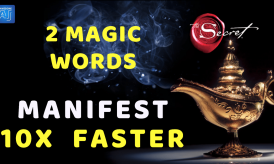 When she applied the law of attraction focusing them on her professional and personal life, magic started happening. Shikha has achieved the kind of success in just one year that she was waiting for many years. Once she understood how to apply the law of attraction in creating an epic life, she never looked back again. Now Shikha is shining high with success. She has established herself as one of the leading nutritionists in Mumbai. Her nutrition blog www.magicalhealth.co.in is getting highly popular among her followers and fitness enthusiasts. Tons of people are transforming their health and fitness under her guidance. You may check out her blog to understand more about your health and fitness. You can also join her 8 Days Weight Loss Email Course for FREE. If you are running a business or self-employed, then remember success starts from YOU. You must transform yourself first to transform your business and create massive success in it. When you program your mind for Success then the Universe will make all the arrangement for you. Creating success with the Law of Attraction is super easy. The best part is your action creates success but in a happy and magical way. 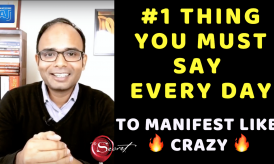 Are You Ready To Achieve Massive Success using Law of Attraction? 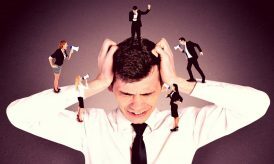 If you are struggling in your business, always remember that you are not here to struggle but to thrive. You are not here to suffer but to live in abundance. 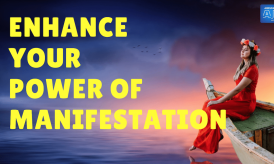 If you want to create massive success in your business and life and believe in Law of Attraction, you can join my Mentoring Program. I will guide you to go success to success. Check the details here. I believe Shikha’s story has inspired you to create success in your business and life. Share your thoughts in the comment section. Go ahead and create massive success, the Universe is with you. Please share this post on Facebook, Twitter, and Linkedin and spread awesomeness. You can read the success story of Shruti. Shruti has manifested her Dream Job in Dubai using the Law of Attraction. You can read her story and watch her video here: Dream Job Success using Law of Attraction. I really glad Ajay sir . I always read your post . I really want to join u r session for law of attractions. I really need some guidelines to move ahead in my life . Loads of Gratitude Bhavini. Tons of success to you. Loads of Gratitude for reading it. I have learned a lot from the above story. Thanks a lot Mr Awesome AJ for your consistent follow-up to make me read your email and make me motivated. Loads of Gratitude Mr.Sahoo. Thank You. Hi AJ I just read this blog – great article! Tons of gratitude for sharing this story….. Thank you Ajay sir for introducing shikha Ma’am and sharing this awesome experience. Tons and Tons of love and gratitude to Universe and Ajay sir. Goodluck ,Good wishes and Prosper. This is inspiring me. Thank you so much Ajay.